Cool color matching!!! both bg and scan blend wisely!!!! Very good looking wall, although, the image has some serious blur damage on her hand. 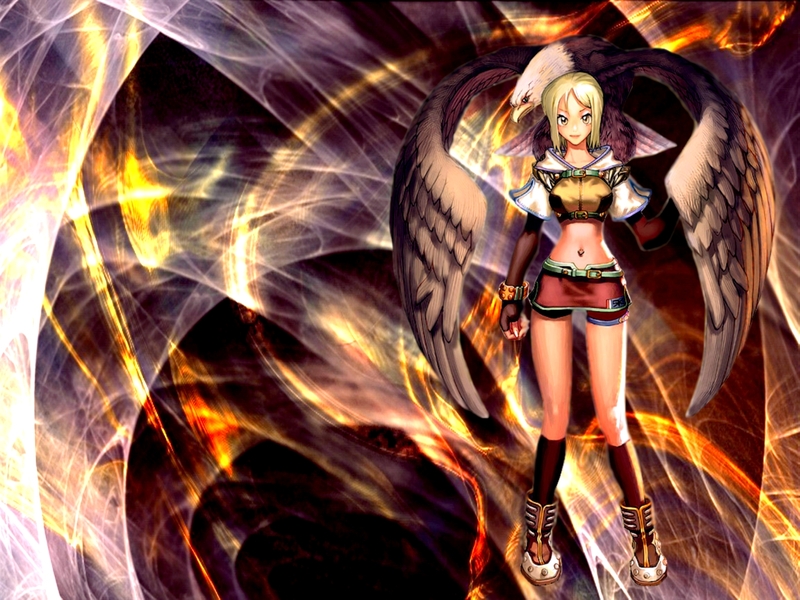 I just love the Background and the cute Girl.She has damn cool looking Wings. The Eagle fits in very well. i love bg........ it's a turtorial yep? Can you give me lint to it or a direction to do sometinh like that? Nice one . i had to put that one on my fav's. your doing good keep it up :) thanx for putting it up. very good work, i like very much the collors that you use in the background!!! The bg looks very nice and the girl looks cute!!!!! The background is well incorporated, and the scan you did looks really good with it, but I get the feeling that it is lacking action. But it still looks really good, the colors in the background and the colors in the character scan fit perfectly. Excellent choice. Over all an excellent wall. Love the design in the background. Keep up the good work! whoa....... i love the background! and her wings look really raelly pretty! very good wall indeed, keep it coming. live on!!! Very cool, love the bg and the brushes you used. Very abstract. I like the effects that you have made with lights; it is a very pleasant view, good work. A ave aofundo combinol bem com a imagem da mulher bem legal !